The waterproof connector is suitable for harsh environments. 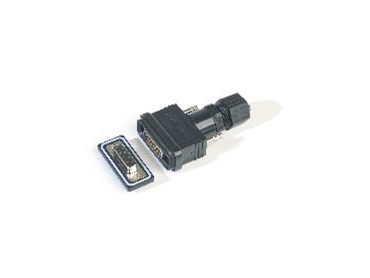 AMPHENOL Socapex has released the 17ED and 17EHD series of D-Sub connector's waterproof to IP67, in both mated and unmated condition. They are suitable for interconnection of electronic equipment used in harsh environments where there is moisture, humidity, water and dust. The devices are available in standard and high density pin configurations from 9 to 44 contacts. Plugs and receptacles are offered in solder cup, straight or right angle PCB type. The cable connector has an optional straight thermoplastic hood to suit cables from 3mm to 10mm. The gold plated precision machined contacts provide robustness and reliability. The connectors and hoods are RoHS compliant.